My nephew Jack's family have been tested beyond belief. In less than three years both his wife and daughter have been diagnosed with cancer. Not only do they need your prayers but financial help. My 2 1/2 year old niece, Ellie Hanney, recently had two surgeries to remove the majority of a tumor from the base of her brain. We are relieved she did well in surgery but she has a long road ahead of her with chemotherapy, radiation treatments and both physical and occupational therapy. The diagnosis was especially devastating because when Ellie and her twin brother were only one years old their mother, Katie, was diagnosed with stage-3 breast cancer. We are grateful her prognosis is good and for now the doctors have given her a clean bill of health. Just when they were starting to recuperate emotionally and financially from Katie's cancer journey Ellie started to get sick. Ellie's family now are dealing with a second major illness. In addition to balancing time with Ellie in the hospital and raising her two brothers they both have fulltime jobs with limited paid family leave. Again, this couple are dealing with high deductibles, multitudes of copays and out-of-pocket expenses not covered by insurance. Any size donation will be greatly appreciated. My hope is that if enough people participate, the stress and burden will be lifted so they can focus on tending to sweet Ellie. Even small donations of $5 and $10 will eventually add up. Just take a look at other gofundme campaigns that have raised thousands of dollars with small donations. Thank you for reading about this sweet family who are hurting and worried about their little Ellie. I know they will be feeling the love and support from an extended web community. Hi, everyone. This is Jack Hanney, Ellie's father and Nell's nephew. I want to sincerely thank everyone that has contributed so generously so far. As an update, Ellie is still in the PICU at Women's and Children's in Columbia and has been there since the start of this ordeal. She has had 3 of her 4 chemotherapy treatments and the final one is pending. Ellie has been struggling with respiratory issues, maintaining appropriate fluid levels and keeping her blood counts up. Once she completes her final chemotherapy round and has recovered to the point of being able to leave the PICU, we are looking into transferring her to St. Louis to the Children's Hospital for radiation. The Siteman Cancer center can treat Ellie with proton beam radiation. 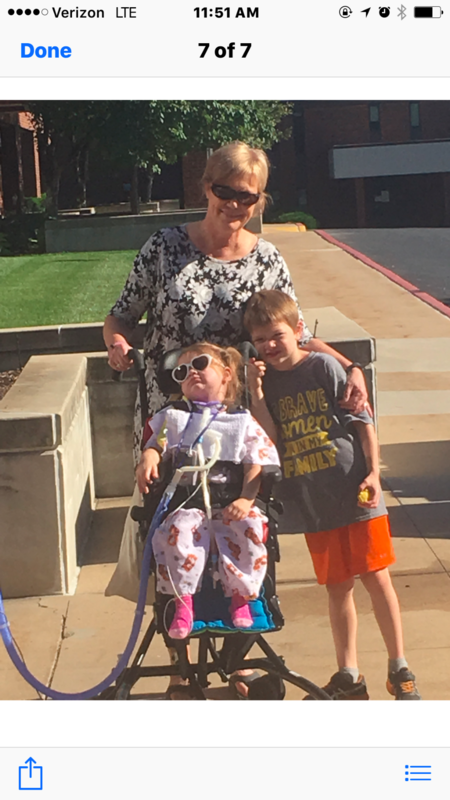 Due to the possibility of Ellie needing to be in St. Louis for 6-7 weeks, Katie has decided to take a leave of absence from teaching this school year. Since she has tenure, she will have a job next year, but she will not be receiving a salary. 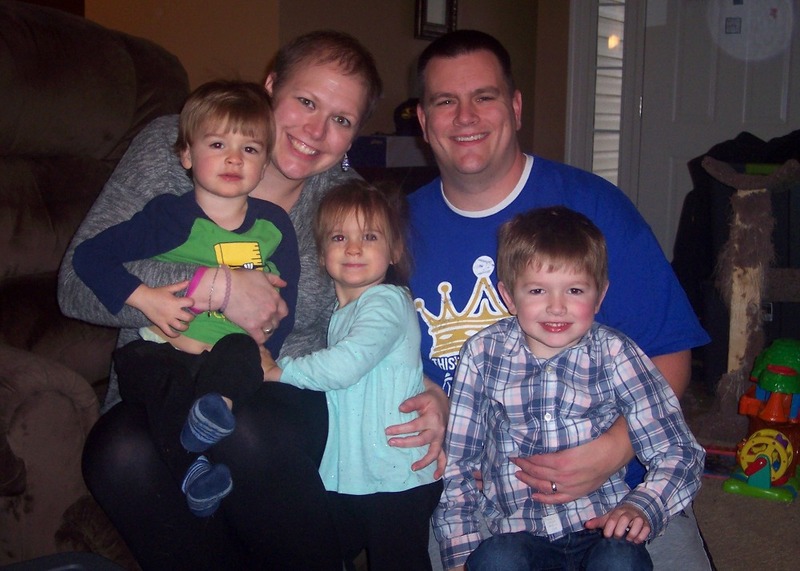 I have raised the funding goal to help meet this loss of income in hopes that not only can we cover Ellie's medical bills but also travel back and forth between Columbia and St. Louis and continue to provide for Ellie's brothers. Again, thank you so much for your generosity, the whole family greatly appreciate it! 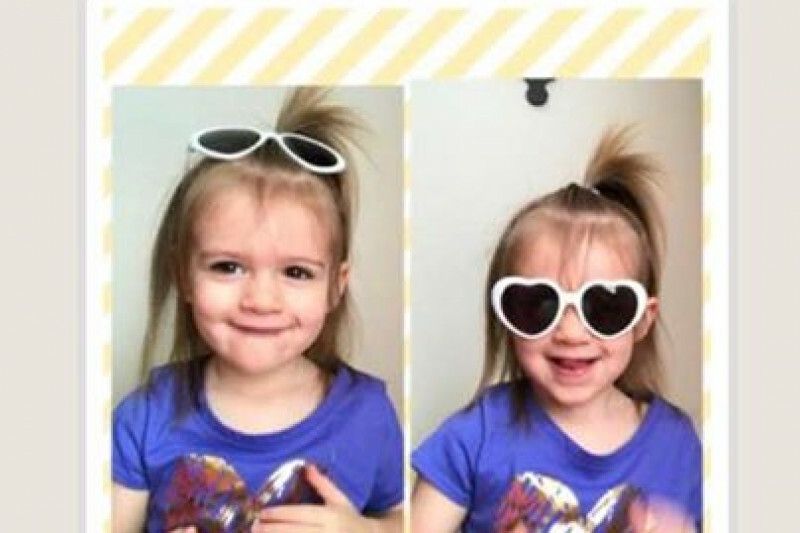 Ellie has been in the Pediatric ICU for over 40 days. Some days Ellie progresses with her therapies but recently she’s struggled somewhat since her chemotherapy has kicked into effect. The doctors predicted she would become immune-compromised and she did develop a fever, rash and cold. In the midst of treating her symptoms they discovered she also has asthma. The other day she had to go back on the ventilator to give her some relief and effectively treat her with Albuterol (her asthma medicine.) All these complications have interfered with her physical, speech and occupational therapies but we are confident she will be more herself in a few days. She can now sit in a special wheeled chair, which she has occasionally been wheeled outside to enjoy the sunshine. The physical therapists have been working on building up her strength and teaching her to stand on her own again. The speech therapist is working with her to make sounds out of the trachea tube to help communicate. Fortunately Ellie has a little feistiness in her natural character and appears to be the fighter her mom was with her cancer struggles. Katie, her mom, is sleeping overnight most of the time with occasional relief from Katie’s mom Lynne and Ellie’s dad Jack. Your prayers and financial support from all over the country and their local community have given them such an emotional boost. They are overwhelmed and humbled by the kindness of friends, acquaintances and strangers. It makes it so much easier to face this challenging journey when they know so many are routing for them and their little girl. Ellie, Granny (Lynne) & big brother Ben. Thank you to all of you who have donated to the Go Fund Me campaign. But Ellie still needs your prayers because she started running a fever yesterday. We are grateful for your prayers, healing thoughts and financial support. Ellie is still in ICU after her THIRD surgery which she came through with flying colors. Read the latest update on the link to get the details. I will try to update all of you as I get updates. The Hanney's are so grateful for your prayers and support. This little two-and-half year old definitely is strong-willed and a fighter. A few days ago she had her THIRD surgery to address encephalitis and install a traecheotomy, feeding tube and port (I'm assuming for medication and future chemo treatments.) We hope the feeding tube is only temporary while she strengthens her swallowing. On Thursday she started the day off strong with speech therapy and a visit from her twin brother Henry but later developed a fever. We are waiting on the results of cultures to determine the cause of the fever. It's going to be a long road to recovery but the support from the community is making it a little less stressful. Bless you all for your generosity and prayers! 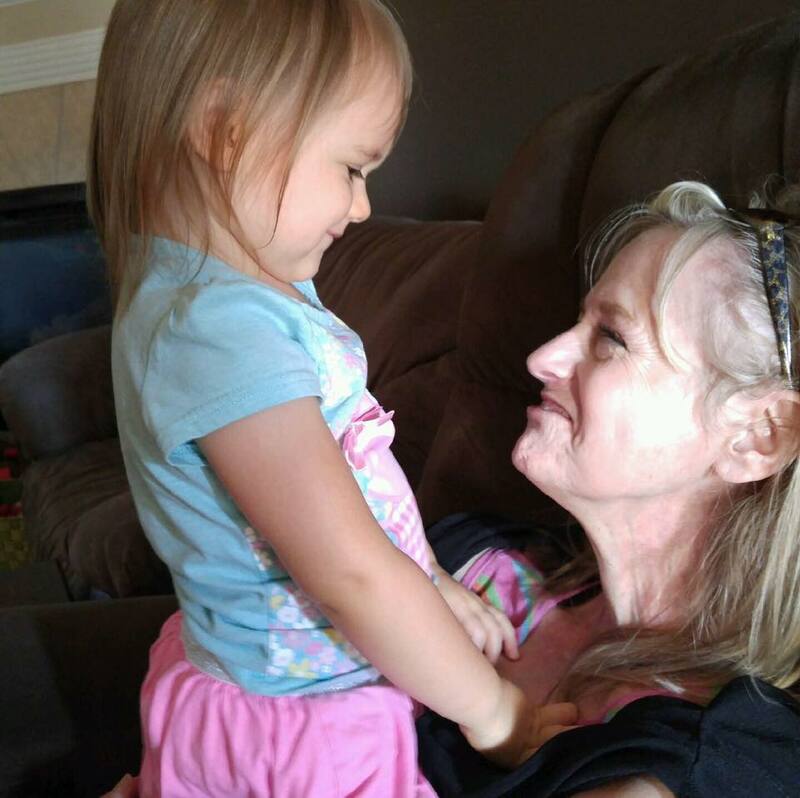 Thank you everyone for your donations to my granddaughter's, Ellie, Go Fund Me account. The family cherishes your love and support. Praying for healing for Ellie and her Mom.